Date: 28.04.2018 | Dance, Disco, RnB, Pop, Blues, Jazz | Tags: 100 Hits, The Best 80s, Groove Album, 80s, Demon Music Group, Bomb the Bass, Wham, Regina Belle, Imagination, Milli Vanilli, Roachford | Download 100 Hits - The Best 80s Groove Album 5CD (2018) for free. Worthy selection and beautiful tracks The Best 80s Groove Album, all of us heard at one time or another, for many years! 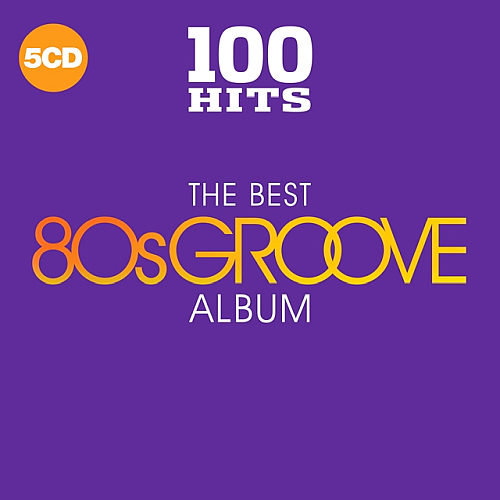 The Best 80s Groove Album contains the defining tracks of the genre including Aretha Franklin, Billy Ocean, Marvin Gaye, Whitney Houston, Luther Vandross, Deniece Williams and many more. Demon Music Group is the UKs largest independent record company, specialising in the marketing of physical and digital catalogue music with repertoire sourced from both major and independent companies around the world as well as our own vast library of rights. We control music catalogues from a number of high profile artists across a number of genres including Suede, T. Rex, Ian Dury, Belinda Carlisle and many more. R&B, Jazz-Funk, Quiet Storm, Post-Disco, Soul, Freestyle, Synthpop | Demon Music Group Ltd.
41. Aretha Franklin - Who's Zoomin' Who? 44. Full Force - Alice, I Want You Just for Me!